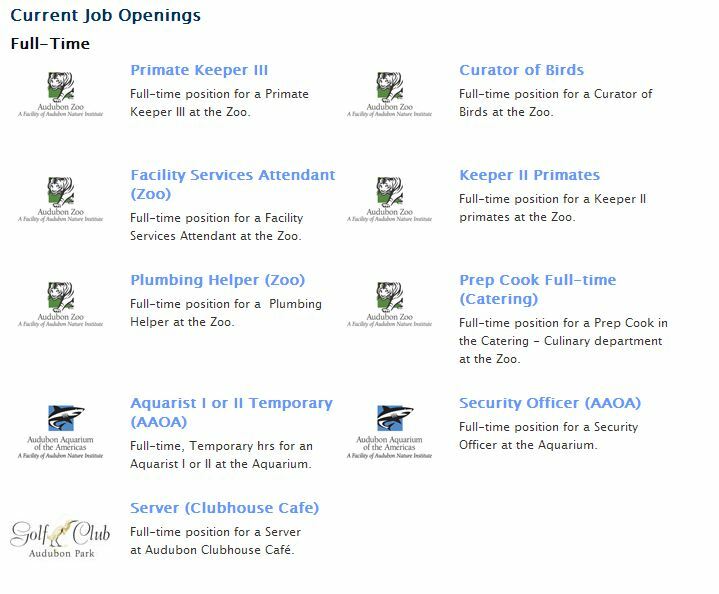 Audubon Nature Institute (zoo, aquarium, insectarium, golf club) in New Orleans is hiring. This makes our inner kid really happy. 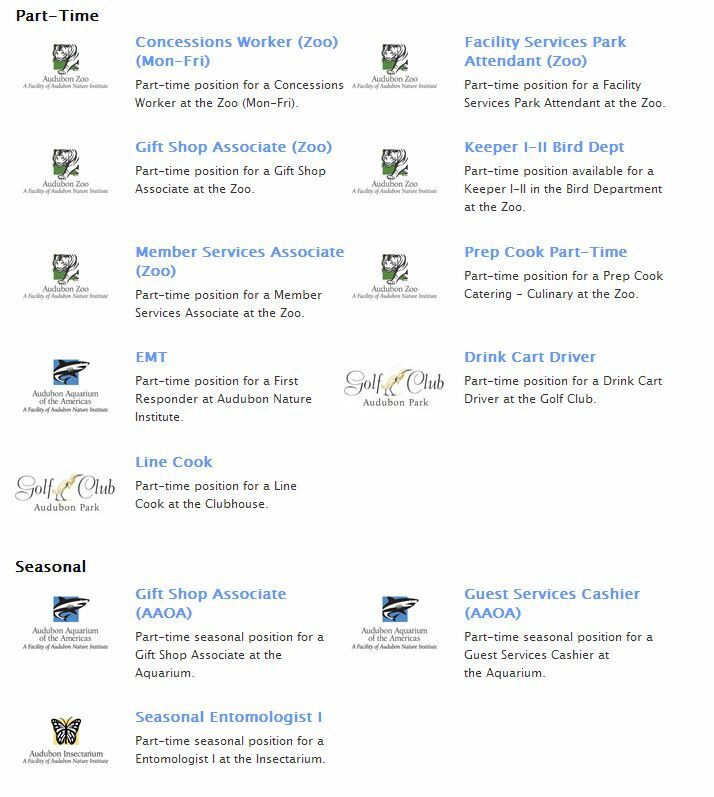 Audubon has full-time, part-time and seasonal positions open. It also has internships available. Click here for more information about each opening, plus instructions for how to apply.